The Acue Lighting 7R Beam PRO 230W moving head is our production-specific designed fixture. It has a newly redesigned body, upgraded optics, upgraded motors, 3-pin and 5-pin DMX, and a battery-operated display allowing you to address all fixtures without having any power hookup. 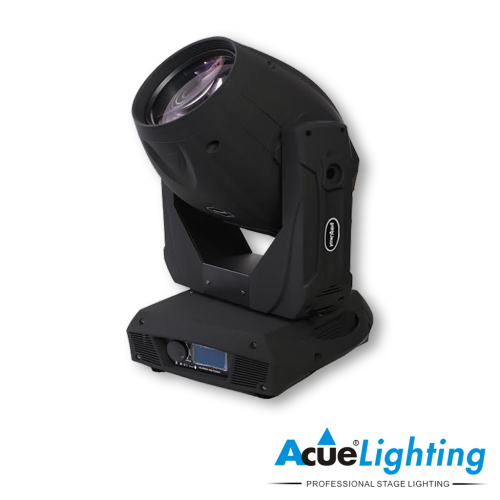 The fixture features a 230w 7R bulb as its light source (2200 hrs), 14 colors/white, 17 gobos/open, 1×8 facet rotating prism, mechanical linear dimmer, mechanical focus control, mechanical linear frost filter control and mechanical shutter control. 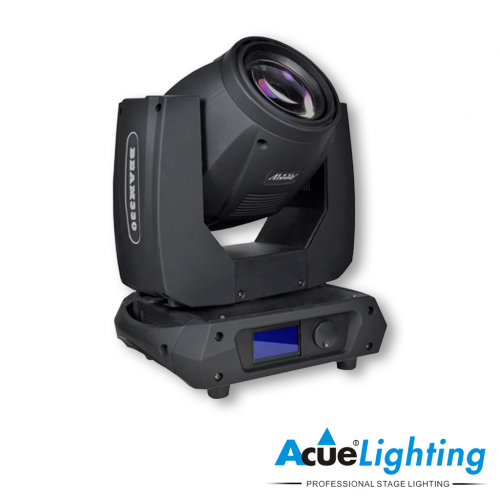 The Acue 7R Beam PRO Moving Head has become the number one used fixture in any production/lighting company. 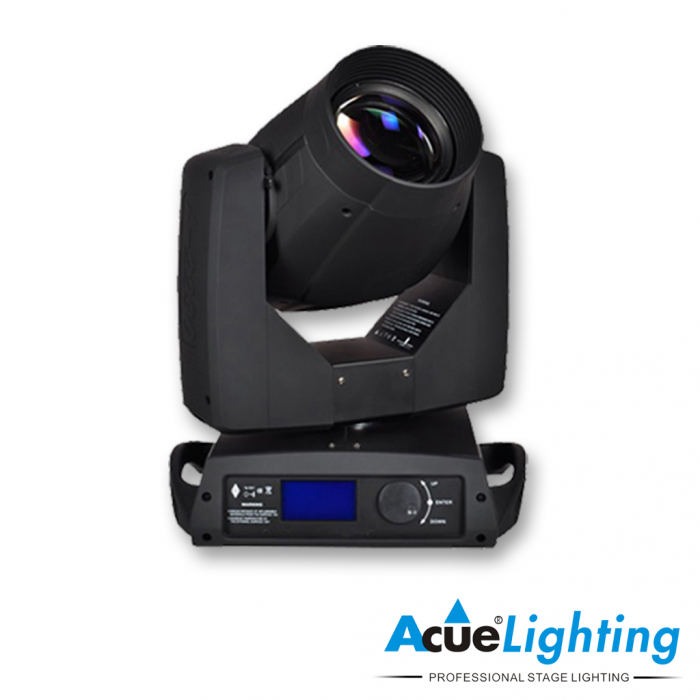 It is a perfect choice for permanent installation and production rental applications. Operating Modes DMX or Auto Program. 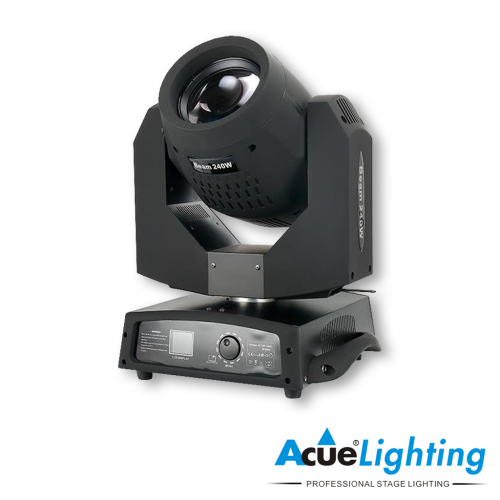 Pro model has battery powered display unit for addressing and adjusting without power source.